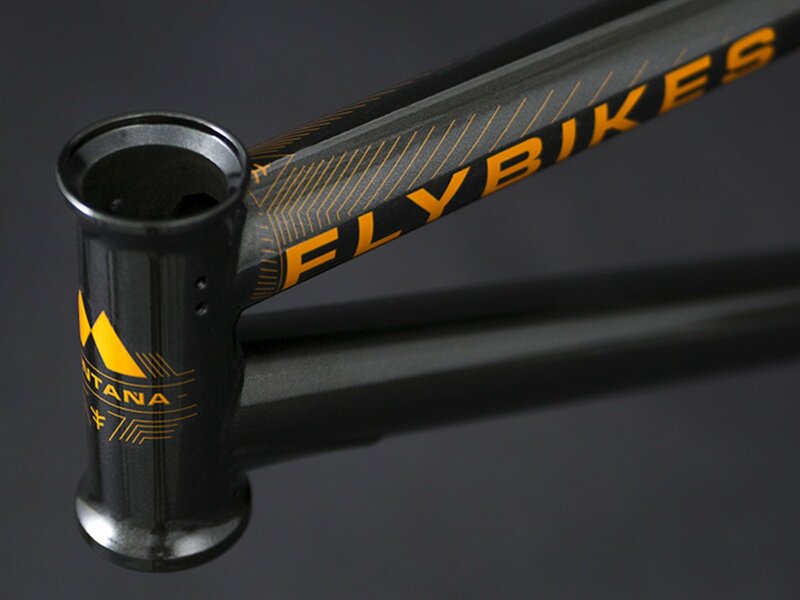 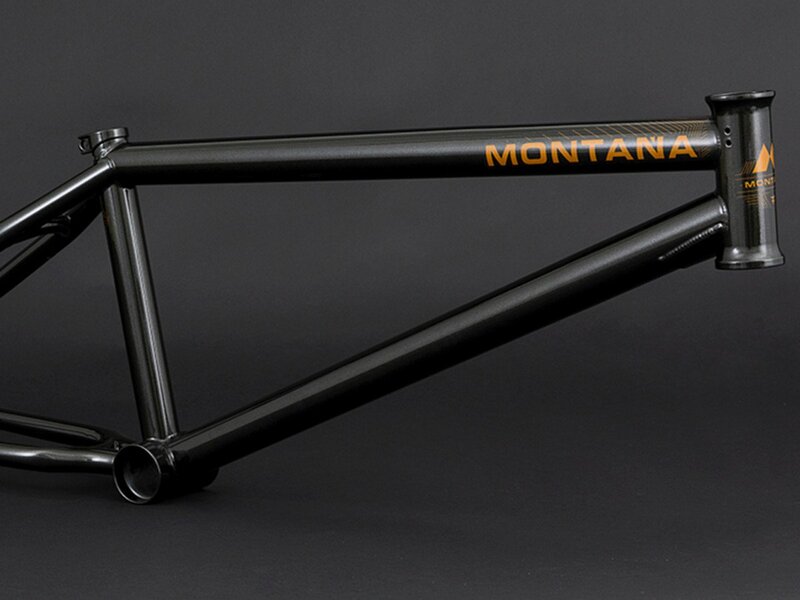 The Flybikes "Montana" 2017 BMX Frame is the signature BMX Frame of Sefan Lantscher and was in accordance to his wishes and his riding style designed and manufactured for allround BMX riding. 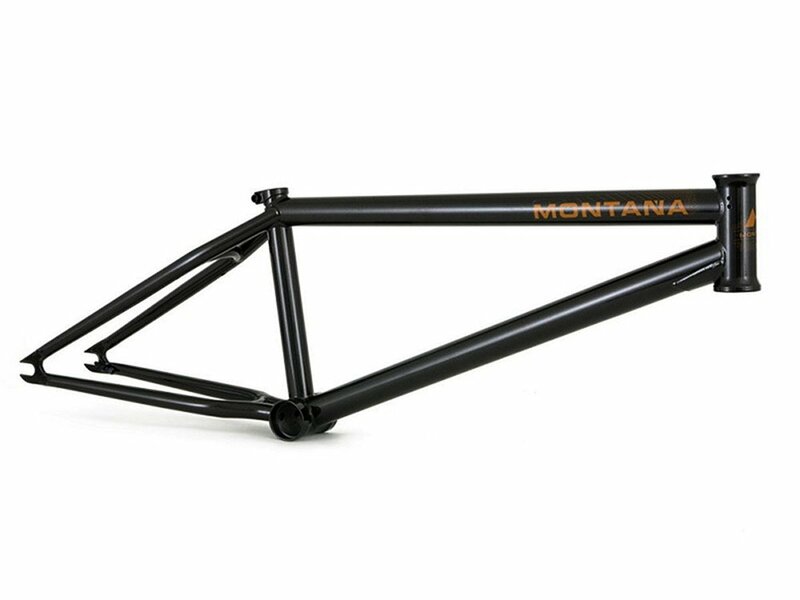 The Flybikes "Montana" 2017 BMX Frame is made from best quality, partially heat treated 100% 4130 CrMo and a steep 75° degrees head tube paired with a 11.75" inch low bottom bracket. 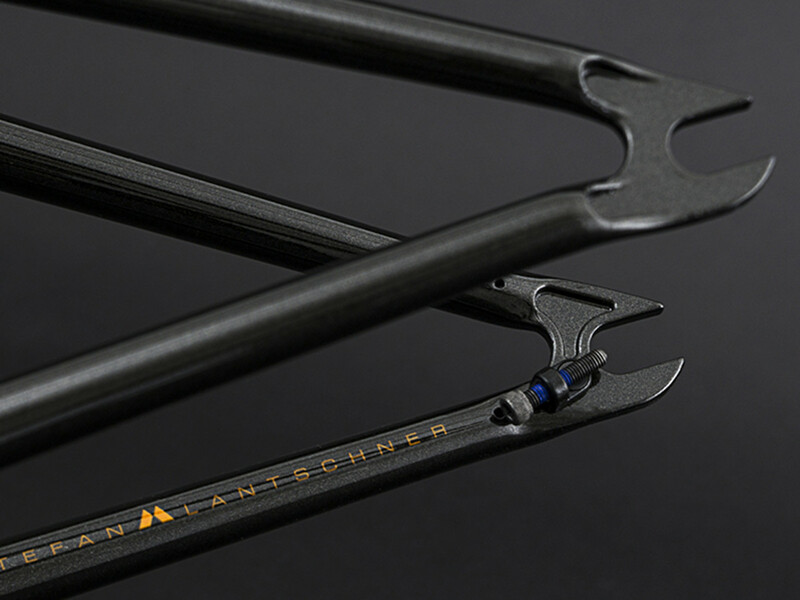 The different between earlier versions is that this version use Mid BB and M8 Brakemounts, which are included at the delivery.